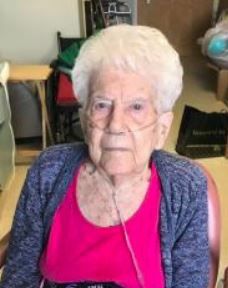 Waterloo — Geraldine (Geri) Koch, 98, died on February 8, 2019, at Manor Care Nursing Home. She was born in Waterloo to parents Lee and Helen Goodenbour on June 8, 1920. She was preceded in death by her husband, Stan, three brothers and two sisters. Geri is survived by her son, David Koch, and her daughter Ginny (Tom) Thorson, grandchildren and great-grandchildren. Funeral services will be held at a later date. Condolences may be sent to Parrott & Wood Chapel, 965 Home Plaza, Waterloo, 50701, or (319) 232-3235.